Oops! Actually clean #2 with the Wad gun. 25 yard timed fire. 185 LSWC. I got the target marked wrong. The ball gun target is a little lower on this page. Good X count too. Good shooting. I still dream of targets that look like that with any gun or bullet. Nice target, Frank. What was your load and what were you using for a backer? When I've shot Noslers they made a little hole that looked like a 38. Thank You all. Ah crap. I got the target listed wrong. That's from yesterday with the Wad gun and 185 LSWC. Clean #2. Here's the one from Saturday with the Ball gun. The load is, Nosler 185 JHP Custom Competition, 5.5 of W231, CCI 300. 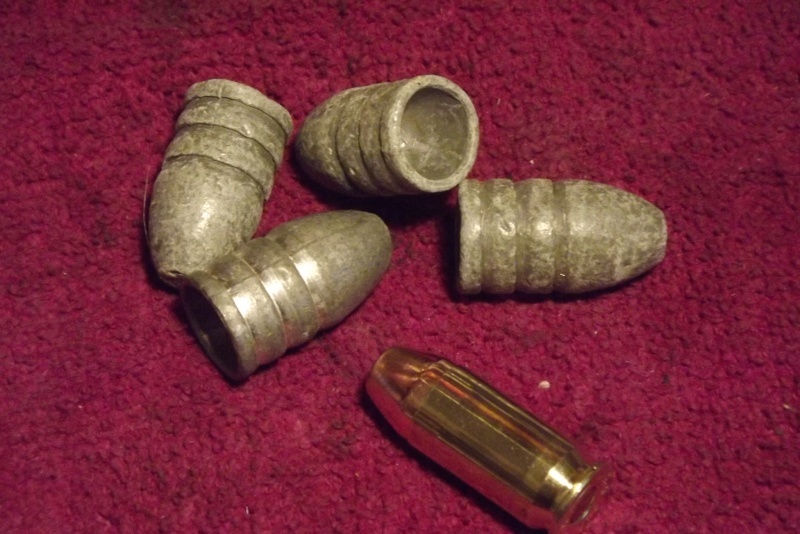 The Wad was a 185 LSWC over 4.8 of W231 and a CCI 300. I had been blasting away all winter up to now with the ball gun then Saturday this happened. So yesterday I took out the wad gun and the .22 for some trigger time. I kept both targets and managed to screw it up. Thanks for the good eyes Ralph. Nice target! Now start expecting cleans! What Mike said ^ If you haven't already done so, read Lanny Bassham's book "With Winning in Mind". What pistols are you using? Mods? Sights? Nice shooting. Ball gun is a bought new, old stock, Colt series 70 Mark IV. Kart barrel & bushing, Ed Brown rear sight and trigger guts, wolfe springs. pistol fit by me. Wad gun is a bought new Remington R1 with a Matchdot II, slide mounted. Wolfe springs. Ed Brown bushing. I jigged/stoned/fit the trigger. .22 is a bought new Mod 41 with a Matchdot II. All I have had to do to the 41 is relieve the grip from the safety lever. john bickar wrote: Nice target!! Managed to shoot 2 more today. One w/the .22 and another with the wad. I was a few days behind you Frank. I got mine yesterday in Timed with the backup .22 and an Ultradot. Heck I had to post it as an Avatar. If I ever shoot a 100-10x like Bickar, I will probably need oxygen from being so excited. I am still looking to fire a SF clean. Got a few (very few) 99's that please me pretty much. But I have cleaned a number of T&R including a few RF HB. One time in 40 some years I cleaned a gallery 200 TF with an Advantage Arms. 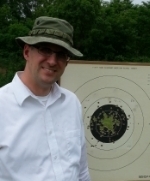 But the most pleasing to me was a practice session with a Ruger MkII at 50ft. Shot 6 strings of sustained and only one shot was not a 10.